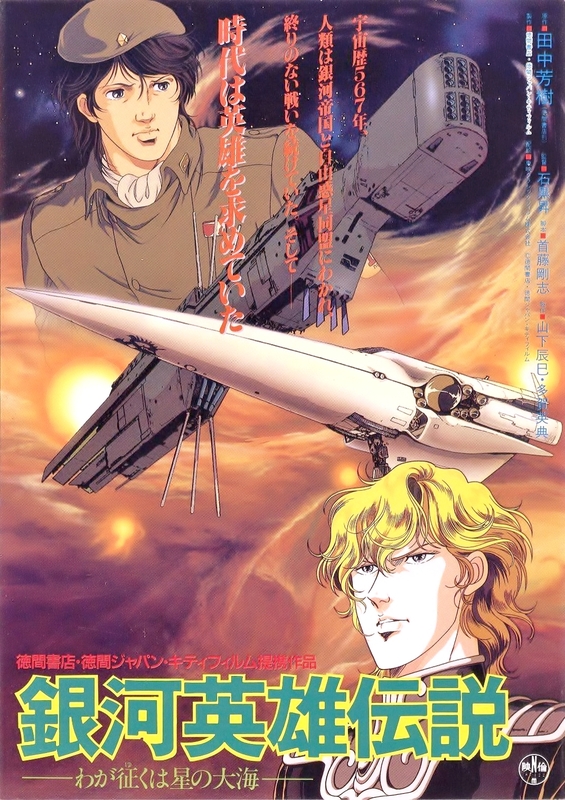 This is the first animated film in the adaptation of "Legends of the Galactic Heroes" to the screen. This series is based on a very popular Japanese science fiction novel series of the same name. Briefly, this story is set several thousand years in the future, when humanity has spread to hundreds of planets. The human Universe is divided into 2 camps: The Galactic Empire, which has an autocratic semi-feudal society based on 18th century Prussia, and the Free Planets Alliance, started by dissidents and expatriates from the Empire. The two cultures have been at war for the past 150 years, locked in a perpetual stalemate akin to World War 1 in space, with incompetent leadership on both sides. This film chronicles the first encounter of two brilliant new young commanders, Admiral Reinhard von Museal in the Empire, and Commodore Yang Wen-Li in the Alliance, both of whose leadership and tactical genius allow them to rise over the resentment of their incompetent superiors, changing the course of the War and human history forever. Two interstellar armies continue their 150-year-long war. On both sides, mid-ranking soldiers question the judgment of their superior officers and worry about the future. This is an excellent film that should get anyone who reads science fiction (or watches it) interested in the series. The scale of the setting is epic and the use of classical music (real masterpieces ala Mahler, Mozart, Beethoven, etc, etc) gives it an integrity that I find lacking in a lot of anime with cute pop songs and even cuter characters.